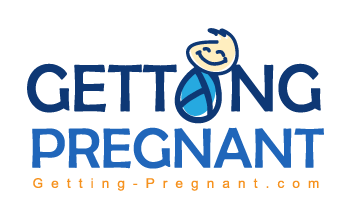 A fertility smoothie is a wonderful part of your natural fertility plan. Here's why – Fertility super foods and supplements are a powerful way to boost your fertility. But getting all your super foods in can sometimes be a challenge, especially if you're taking supplements that you're not used to cooking with. Maca is a powerful fertility booster – but how many maca recipes do you have in your cookbook? 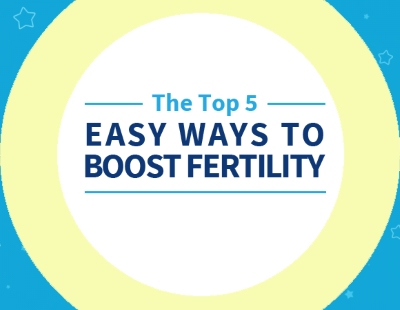 How about all the greens and other veggies you need to get to help boost your fertility? This is where a fertility smoothie shines. You can incorporate your fertility super foods into your daily smoothies! A simple smoothie involves the fruit of your choice, a banana, and yogurt. I highly recommend you use organic fruits – buy frozen if you can't get fresh. Use full fat yogurt, and again, I recommend organic. You do not want to use a low-fat or fat-free yogurt. These are incomplete foods. Studies show that full-fat dairy helps improve fertility, and low-fat/no-fat dairy will not give you all the nutrients you need to absorb vitamins, minerals, and other nutrients. Add your yogurt and fruits to the blender, then add your fertility supplement ingredients. Maca powder is a great addition to this basic recipe. If you're planning for your smoothie to make up your breakfast, you may want to add nuts for a high quality source of protein and extra fat to keep you going through the morning. You can either add whole nuts or nut butter. What are some good fruits to include in your smoothie? You can add just about anything you like. I tend to use banana in every smoothie because, well, I love bananas… But in addition to my love of bananas, they provide a nice consistency to smoothie recipes. Peaches are a wonderful flavor enhancer that many, many people love. Melons like cantaloupe and honeydew also add a pleasant light flavor. Berries are a real winner for your smoothies because they pack such a huge nutritional punch all on their own. Again, please use organic because berries can have a lot of pesticides. Organic berries have incredibly high antioxidant levels and greatly enhance health and fertility. Add your Royal Jelly to your fertility smoothies. Royal Jelly is used to nourish both the queen bee and young growing bees. It's packed with nutrients ideal to boost egg quality, sperm quality, and boost fertility. Other good fats – You can also add small amounts of flax oil to your smoothies. This is an excellent source of Omega-3 Fatty Acids which gives you a great fertility boost. Egg yolk. Just add the (raw) yolk – not the white. Egg yolks are absolutely packed with nutrition and will nourish you health and the health of your eggs. Use yolks from eggs that come from pastured chickens. Your smoothie will completely cover the taste/texture of the egg yolk up. It's hard to believe, but it's totally true! I recommend you don't add your cod liver oil to your fertility smoothie. Unlike greens and egg yolk, your smoothie won't cover the taste. In fact, the entire smoothie will taste like fish oil! The best way to handle cod liver oil is to take it straight up or mixed in a tiny amount of juice, then chase it with your flavorful fertility smoothie!